Distance : 6.2 miles (10 km) approx. Buses and minibuses run regularly between the island’s towns and villages. Note that services on Sunday are limited. For details of getting to and from Isla de Ometepe see ViaNica.com. Possible all year, however, December to February (i.e. winter and the dry season) offer the best chance of good conditions. The Volcan Maderas (1394 m) has been dormant for the last 10,000 years. Even if you could find one, a map is not necessary for the climb. Same goes for a guide. Although at times muddy and slow going, the trail is never difficult to follow. For more information regarding Isla de Ometepe see ViaNica.com or Lonely Planet’s Nicaragua or Central America guidebooks. 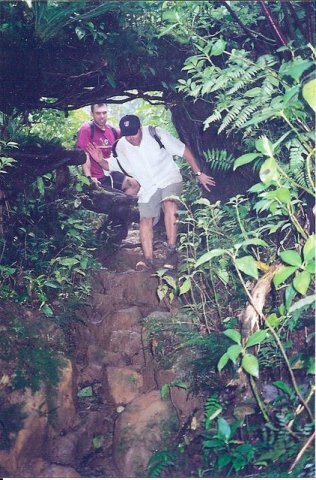 Begin by ascending through coffee plantations, which in turn give way to a wonderfully atmospheric cloud forest. Although muddy at times, the trail is clear and easy to follow. The occasional lookout provides good views of Volcan Concepcion to the NW. Views from the crater’s rim are limited as you are still under the cover of forest. However, in some respects this is where the fun really begins. 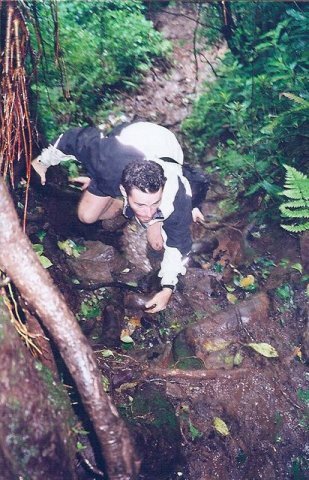 The descent into the crater involves some scrambling and can be a little slippery in wet weather. The reward for your efforts is a gorgeous, albeit somewhat chilly, crater lake. Bite the bullet and go for a swim. It is not every day you have the opportunity to swim in a volcanic crater! Situated a stone’s throw from Balgue, the Finca Magdelana is a great place to stay. Good views, tasty food and convenient both to the Volcan Maderas climb and the near-by petroglyphs. The island of Ometepe is something special. Without doubt my favourite spot in Nicaragua. If I could only climb one of the two volcanos on Ometepe, it would probably be Maderas. 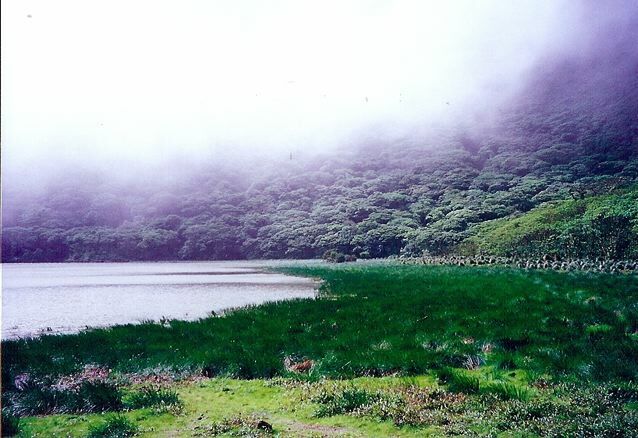 The wonderfully atmospheric cloud forest combined with the opportunity to swim in the crater lake, are not to be missed.